The ‘Maha’ Census of 2011, will the Badagas be there? The ‘Maha’ census of 2011 that may bring in the ambitious Unique Identification Number to every citizen of our country has started from 1st April, 2010. 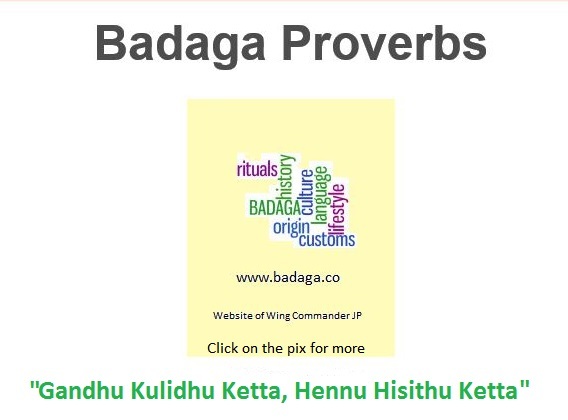 Many readers may not know that Badagas were listed as a separate entity in the CENSUS till 1981 but after, that, courtesy some idiots, Badaga are grouped under Kannada (speaking people). What this has done is the huge loss of information of knowing how many Badagas are there [along with all other details like literacy rate, gender wise population etc]. That, SIMPLY MEANS BADAGAS DO NOT EXIST. What is highly hurting is the fact we have many Badagas including a minister, MLA, many ex-MPs & ex-MLAs who seem to do nothing. Can they not, ATLEAST, shoot out letters to all concerned ? I know of an EX-MP who writes to the local police station every now and then emphasising the EX-FACTOR when it comes to grabbing others land , but does nothing about the community welfare. What about the many self appointed leaders of Badaga community, including ex-MLAs, who claim that they are very close to the ‘RULING” party leadership ? Why can’t they initiate some action and show the same enthusiasm like when they ‘fleece’ the public for money in the name of donation for the party [but lining their own pockets]? 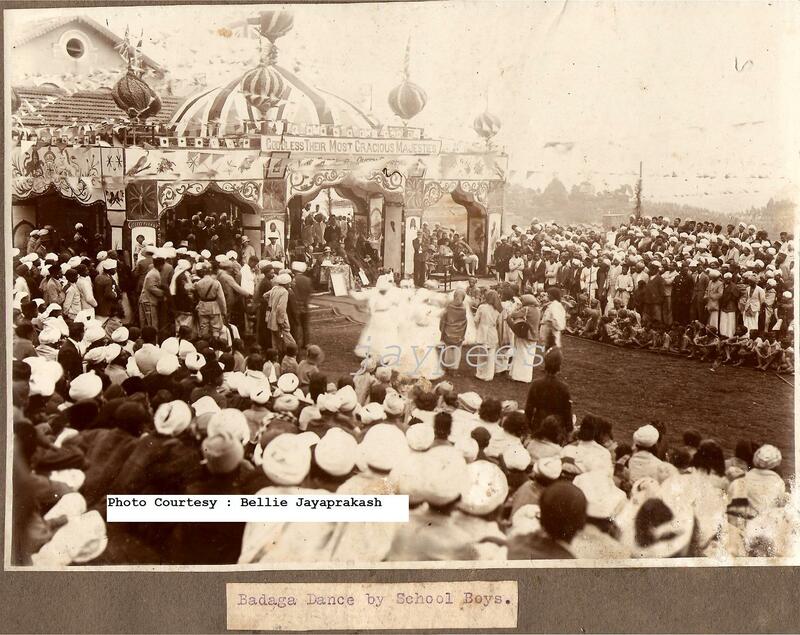 It is a well known fact that late Rao Bahadur HB Ari Gowder would seek an immediate appointment, to highlight the problems concerning Badagas, with the Collector as well as the State ministers of his time including the great Rajaji who was the CM. Do you know that Rajaji had to apologise to Ari Gowder when he (Rajaji) was delayed for an appointment and Ari Gowder, as MLA, threatened to walk out. I believe, many Collectors of the Nilgiris, would not only address Ari Gowder’s concern expressed over the phone but would consult him on any issue on the Nilgiris. Badagas under Schedule Tribes ? As mentioned earlier, even in our own district of the Nilgirs, do you know that we are not taken as a separate community as BADAGAS but are clubbed with other non tribals? That is one of the reasons why the exact number of Badags is not available? When census is taken Badags are clubbed under Kannadigas / others. I am afraid, if this sad state of affair continues, after a few years, we will come under the “extinct” community. 1. 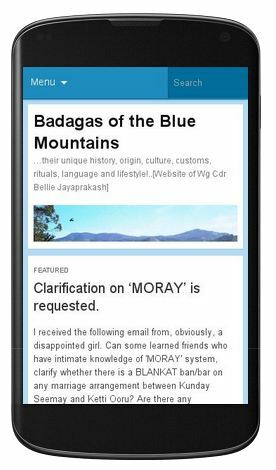 First, we should be identified as a separate group as BADAGAS like Todas, Kothas,Kurumas etc when the people (tribes) of the Nilgiris are referred to. 2. For the larger good of the community, Badagas should get the ST status for the benefits available are too many to go into detail. 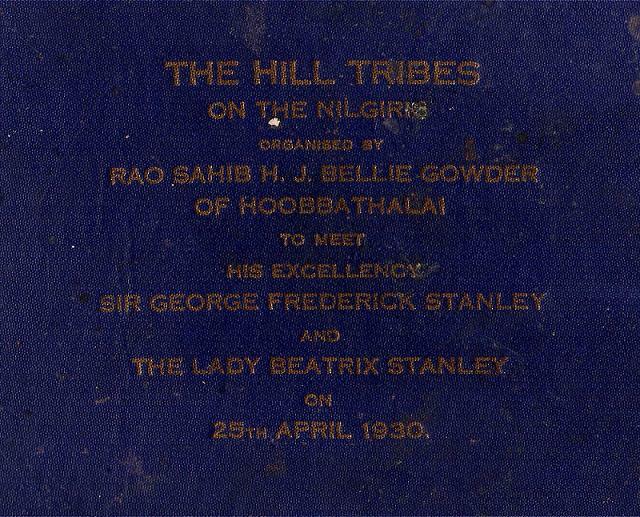 Nearly eighty years back, Nakku Betta Leader, Rao Bahadur (Rao Sahib then) Bellie Gowder on whose invitation the Governor of then Madras Province visited Hubbathalai Village was presented a memorandum on the Hill Tribes of Nilgiris which included Badagas, Todas & Kothas. In a grand cultural show organised on that eve Badaga dance was presented [by school boys] in their ‘DODDA KUPPACHA”.